In my 29 years, I have tried many different types and brands of face moisturizers/skin treatments. I've encountered amazing ones and some not-so-stellar ones as well. When I was contacted by Shiseido I was definitely looking forward to trying their products since I've always heard great things about them. I received their Ibuki Multi-Solution Gel which is a totally unique formula and offers properties that seem to be beneficial for my skin type which is sensitive, acne prone, combination/oily and with fine lines. 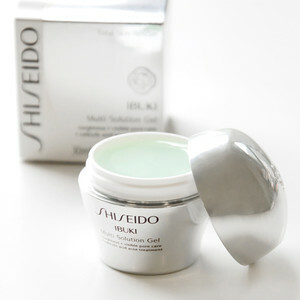 The Ibuki Multi-Solution Gel is a high- impact gel that has a interesting bouncy texture and helps skin make an easy comeback from the effects of stress, erratic schedules, and the environment. It features PhytoTarget Complex that claims to help skin build resistance to external aggressors and Salicylic Acid that helps reduce acne. It's formulated for all skin types, non-comedogenic, dermatologist-tested, and can be applied under or over makeup. It also helps reduce the appearance of pores. Ibuki (which means inner strength) is all about bringing your skin back to life so you look and feel your best around the clock. Their exclusive Shape Memorizing Cell Technology restores moisture to help remove dead cells for strong, healthy skin. Helping cells memorize their ideal, most powerful shape boosts skin's resistance to breakouts, visible pores and roughness. The result? Smooth, soft, problem-free skin that's ready for anything. The texture of this gel is so unusual, but in a good way. It's bouncy, and reacts sort of like memory foam in the sense that if you mess around with it in the pot, it'll slowly bounce back to it's original state. It reminds me of flubber! The product is light green but applies transparent and has a light, pleasant scent that isn't over-powering. Due to its unique skin-conforming texture, it adheres well to problem areas, under and over makeup, to deliver effective ingredients. I like to use this as a spot treatment and I use it day and night depending on the condition of my skin at the time. If I use this along with my skin care regimen, I make sure that this is the last step. It absorbs quickly and my face feels refreshed, supple and smooth. I also love how lightweight it is; I cannot stand when face products are thick and heavy. After using this for about a month, I have to say that my skin is looking outstanding. It's is clearer, more even and supple and it hasn't caused any sensitivity. Theses photos were taken three weeks apart. I apologize for the lighting difference here, but you can still clearly see that my skin tone appears to move more smooth, even and less red with diminished blemishes. I do recommened using a good moisturizer while using this product because the salicylic acid can be pretty drying even on oily skin like mine. -Salicylic Acid 0.5%: Acne treatment. 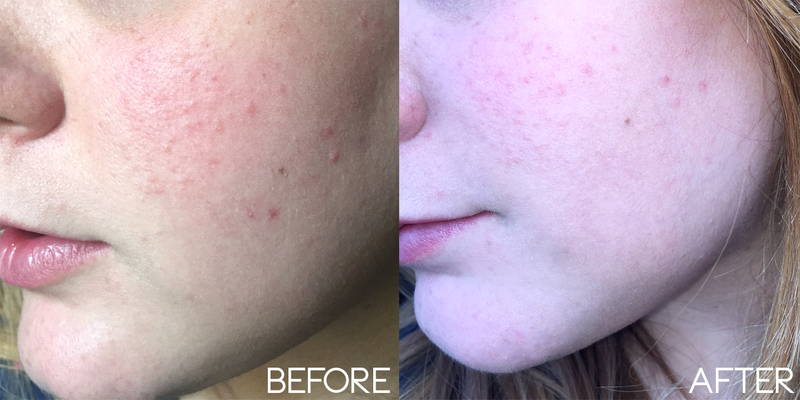 All in all, I am impressed with this product, especially since I didn't really expect it to do much for my skin. The key is to be consistent with your skin care regimen and to make sure that your skin concern falls into the category that this product caters to. This was my first time ever trying Shiseido and I've gotta say that I've become a fan and I'll definitely be purchasing some products in the future. I hope you enjoyed this review and that it was helpful to you. Have you tried Shiseido products before? If so, what are your favorites? Let me know in the comments below!